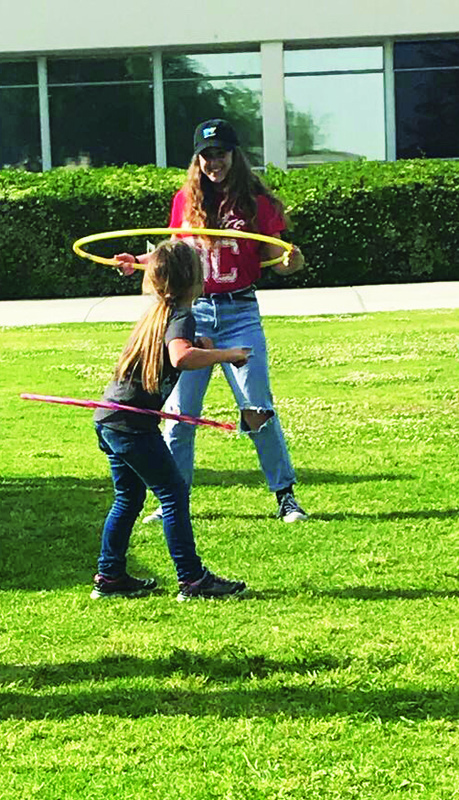 BC Student Life employee Ashly Harp, enjoys some hula-hoops with little girl. 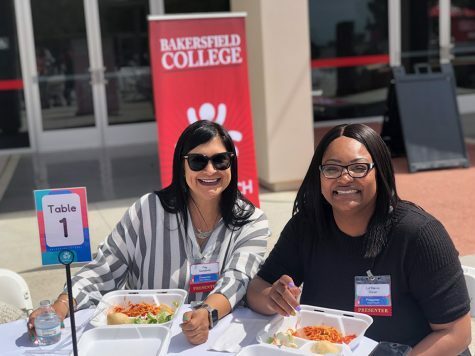 Bakersfield College held its annual Spring Fling Carnival in celebration to kick off the spring season on Wednesday, April 11. The event was coordinated by the Office of Student Life with help from community volunteers as well as several staff and faculty and took place on the CSS lawn from 4 to 8 p.m. The carnival was originally scheduled to be held the week before spring vacation, but was postponed due to heavy rain. Nallele Sanchez, a student employee and member of the production team for the Office of Student Life, says the overall goal for the event was to just have some fun. “We hope it will be something fun for the students. We all need a breather after stressing about midterms and exams so now we can let loose,” said Sanchez. 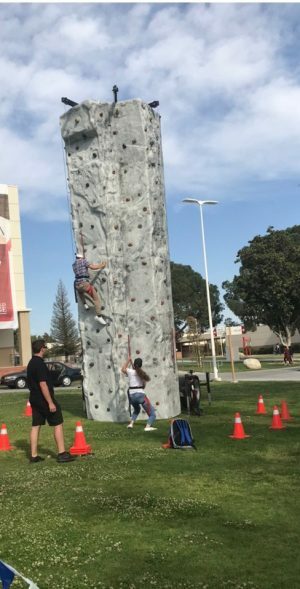 BC students put their climbing skills to the test as they go head to head on the rock climbing wall. Rock climbing, the three-legged race, bowling, giant Jenga, hula hooping, and face painting were just a few of the activities that took place at the carnival. Students could also treat themselves to free snow cones and cotton candy after playing some games. 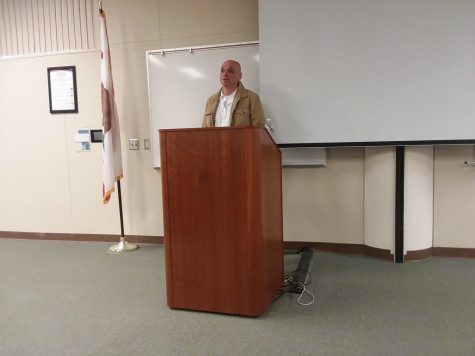 First 5, a local organization committed to supporting children in Kern County, also hosted a booth at the event to offer any guidance and advice to those attending. Lastly, live music was performed by band The Akoustiks throughout the event. BC plans on hosting the event again next year, hopefully this time without having to reschedule.